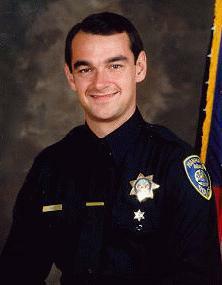 December 27, 2005, marks the 12th Anniversary of the death of Police Officer Martin L. Ganz. On this date, CalTrans will be placing two signs on the 405 Freeway, declaring the north/southbound (between exits for Hawthorne Blvd and Rosecrans Ave.) lanes as the Martin L. Ganz Memorial Highway. That morning, at 11:00 am, a sign dedication and tribute to Ganz will take place in front of the Bank of America in the Manhattan Village Mall - the spot where Ganz made his final traffic stop. The public, members of law enforcement and press are encouraged to attend this short ceremony, which will include a few speakers and a sign unveiling. The 5-year veteran of the Manhattan Beach Police Dept was conducting a late night traffic stop in the Manhattan Village Mall. What Ganz thought was a routine traffic stop quickly turned tragic. As Ganz approached the vehicle, the driver started shooting. Ganz' nephew was on a ride-along, and witnessed the murder. After repeatedly shooting Ganz, the suspect reportedly approached the nephew, pointed and shot at him, only to have the gun misfire. Ganz, who was engaged to be married, taught anti-drug abuse education programs in the city's elementary schools, served on the special weapons team and normally worked as a motorcycle officer. 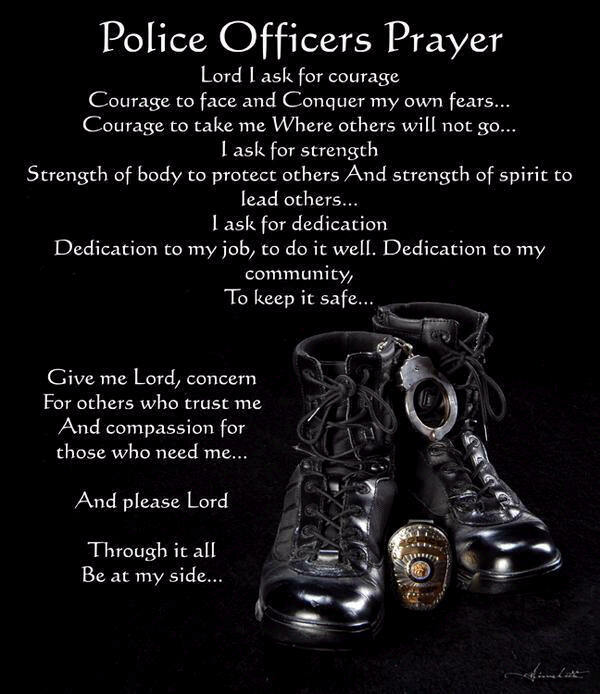 He was in a patrol car the evening of his death. "He probably arrested more guys than anyone else in the department," said officer Gregg McMullin in an interview near the time of his death. "You name it. He arrested everybody. He was not only able to make a lot of arrests, but he worked well with kids as a DARE officer," McMullin said. "There are plenty of kids in the community that know him." Ganz was engaged to Pamela Ham (now Schultz), a Court Clerk for the County of Los Angeles. It was Pam who spent several years trying to get legislature passed to have the freeway named in Ganz' honor. With the help of then Assembly Member George Nakano, who introduced ARC 145 on January 6. 2004 and Governor Arnold Schwarzenegger, who signed it on August 14, 2004, Ganz had his freeway.. Pam then had to raise $8000 to pay for the two signs. It was her goal to have the signs up by the 10th anniversary of Ganz' death, but the process took a bit longer than expected. She is glad that that the work is finally done, and looks forward to the unveiling.. An extra special tribute is that the work will be completed on the anniversary date of Ganz' death. In addition to the signs, Ganz' memory has been kept alive by members of the law enforcement community. Each year on December 27, you will find members of several different police agencies, a circling police helicopter or two, and even some locals who show up at 11:05 pm to quietly honor the fallen hero at the location where he was killed in the Manhattan Village Mall Parking Lot. 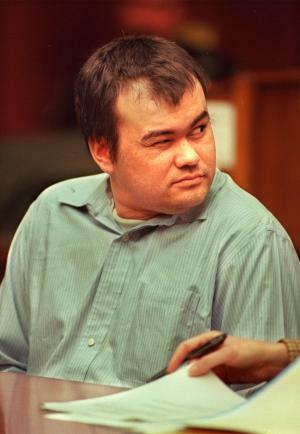 Ganz' killer is Roger Hoan Brady.. On August 1, 1996, he was extradited to Los Angeles to stand trial for the murder of Officer Ganz. On Thursday, November 19, 1998, Roger Brady was convicted of first degree murder with special circumstances for the murder of Officer Ganz. After the penalty phase of the trial, the Jury returned with a verdict of Death for Roger Hoan Brady for the murder of Officer Martin Ganz. On Tuesday, March 16th, 1999, Roger Brady was sentenced to the death penalty in Superior Court, Department L, Torrance, California. To all of you who attended the Freeway Sign Dedication this morning... THANK YOU!!! The day was filled with a multitude of emotions and was emotionally challenging at best. Seeing so many friendly faces in the crowd made it so much nicer. The outpouring of support and caring the the members of this club have shown me is simply overwhelming. I think the world of all of you and hope you understand how much your friendship means to me. I truly appreciate you taking the time of your busy schedules to join us in the unveiling of Martin's tribute. 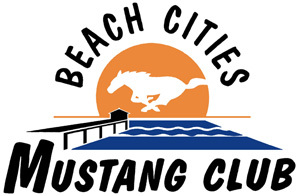 You are a true testimate of what makes the Beach Cities Mustang Club the very best there is. Again, my sincerest thanks! 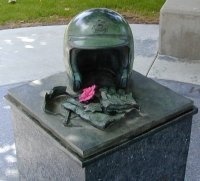 While Googling to update this page in 2008, I came across an awesome website: The Officer Down Memorial Page website. It has a page for Ganz, with several comments left by friends and fellow officers in the "Reflections" area. This link is a must for anyone visiting this page. This is the best site to leave a message about Ganz, as they are read by his family & friends. 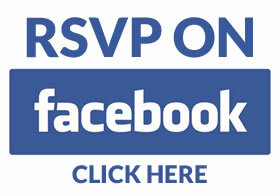 Click on banner above to visit the site / guestbook. 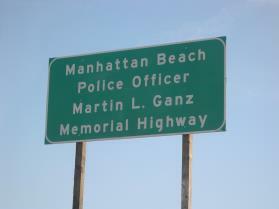 Today marks the 17th anniversary of the Dec. 27, 1993 slaying of Manhattan Beach police Officer Martin Ganz. I covered his death from the beginning right through to the end of Roger Hoan Brady’s trial. Brady remains on Death Row. Although he was convicted 12 years ago, his appeals have only just begun. Brady shot the 29-year-old officer to death near the Bank of America branch at Manhattan Village when Ganz pulled him over. Brady, a supermarket robber, likely was headed to rob the Ralphs in the center. A memorial plaque sits next to the bank. Some officers and Pam Schultz, Ganz’s fiancee at the time, plan to visit the bank tonight to light candles and say a prayer. In a strange “small world” circumstance today, I was working on the slaying of Joe Gosinski, who operated an auto customizing business in Torrance. He was found dead Friday. He specialized in Ford Mustangs. I contacted Jon Schultz, president of the Beach Cities Mustang Club, to talk about Gosinski. I had no idea that Pam was his wife. They have a 2 1/2-year-old son. Pam and I, who got to know each other during those years, spoke this afternoon about Gosinski. We hadn’t seen each other or talked in a few years. Of all days, we spoke on the anniversary of Ganz’s death. 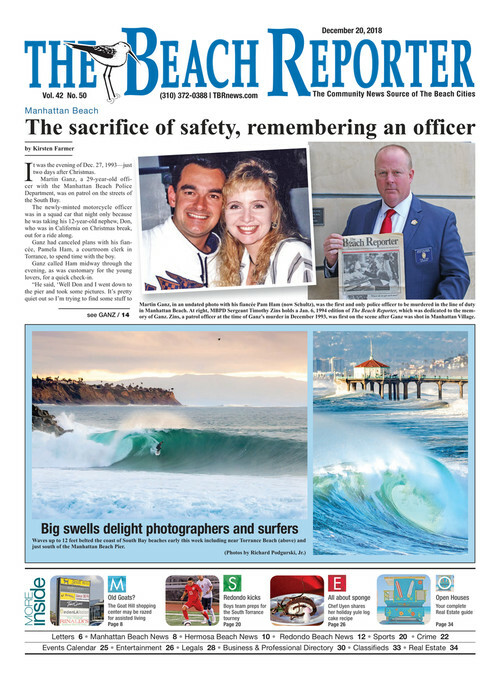 Pam [Schultz] vowed in 1993 that she would never let anyone forget her fiance, Manhattan Beach police officer Martin Ganz. On Tuesday, she drove by the freeway signs that made good on her promise. 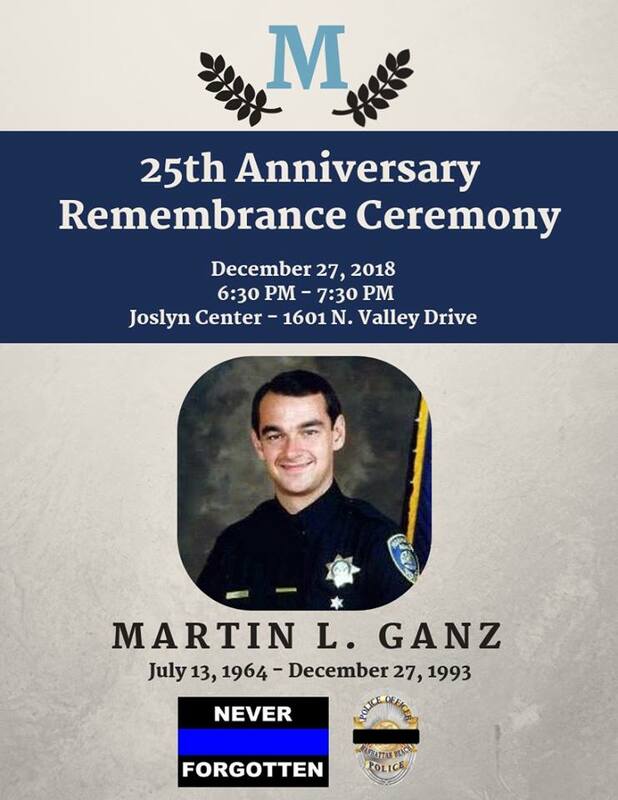 Following years of hard work to push legislation and raise $8,000, Schultz traveled the 3 miles of the San Diego (405) Freeway that were officially renamed the "Manhattan Beach Police Officer Martin L. Ganz Memorial Highway." "I really think this is one of the greatest things I will ever do in my life," she said. Caltrans workers officially unveiled the signs Tuesday morning between Hawthorne Boulevard in Lawndale and Rosecrans Avenue in Hawthorne to coincide with a ceremony honoring Ganz on the 12th anniversary of his death. About 150 people, including Schultz, Ganz family members, several South Bay police officers and citizens attended the ceremony outside the Bank of America branch at Manhattan Village. On Dec. 27, 1993, paroled bank robber Roger Hoan Brady fired on Ganz when the officer pulled him over outside the bank at Sepulveda Boulevard and 30th Street. Police believe Ganz interrupted Brady's plan to hold up the Ralphs supermarket. As Ganz walked to the car, Brady opened fire, striking Ganz in the shoulder and crippling him so he could not use his arm. Unable to shoot back, Ganz retreated and collapsed. Brady chased him, stood over him and fired more bullets into the officer's back and face. Ganz's 12-year-old nephew, Don, was on a Christmas vacation ride-along with his uncle and sitting in the patrol car during the shooting. Before speeding away, Brady pointed his gun at the boy, who shrieked for help over the officer's radio, summoning police from throughout the South Bay. Ganz, 29, died in a hospital emergency room, the first Manhattan Beach officer in the department's history to die by a gunman's bullet. 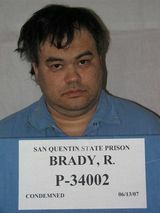 Brady was arrested eight months later after he killed 55-year- old Catalina Correa when she crossed his path as he fled from a supermarket robbery near Portland, Ore. Brady, 40, is on death row at San Quentin State Prison. Schultz wanted one more. She urged then-South Bay Assemblyman George Nakano to propose the legislation to name the freeway stretch after Ganz. Gov. Arnold Schwarzenegger signed the bill Aug. 19, 2004, leaving the fund-raising job to Schultz to pay for the signs. On Tuesday, in a letter issued to Schultz, Schwarzenegger called Ganz an "individual of extraordinary heroism." "This portion of the 405 Freeway named in honor of officer Ganz is a tribute to his great sacrifice and we are grateful for his noble contribution to the people of California," the governor said. Ganz's sister, Janet Chase, said the officer loved his job and Manhattan Beach. As children, they often rode through the South Bay on the San Diego Freeway during family trips from their home in Garden Grove to Santa Barbara. "It's a real tribute to get Martin's name on the 405," Chase said. 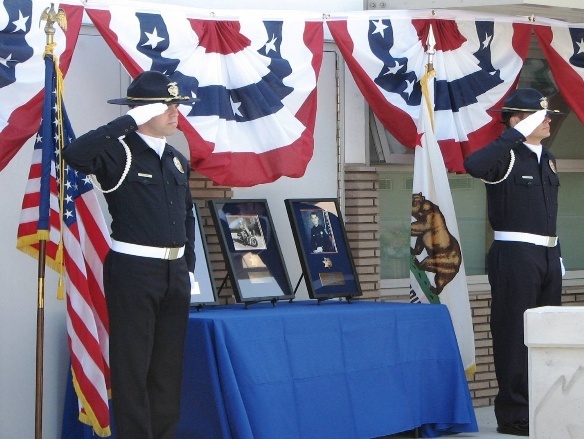 Manhattan Beach officers said the honor was fitting, but it reminded them of one of the worst days in their department's history. "You never forget," said Capt. Randy Leaf, a detective sergeant at the time. "It hurts tremendously." Lt. Andy Harrod, a fellow traffic officer, said his shift ended that night just as Ganz's began. He met Ganz's nephew and told him to have fun. His last words to the pair were "Be safe." Schultz, a court clerk, displayed a yellow "Post-it" note with the officer's name on it. She wrote it down the first day she saw him when he walked into her courtroom. Schultz saved it all these years. Now, Ganz's name is written on larger green signs. "Promise fulfilled," she said. "I drove by. To put it mildly, I got chills. I thought, 'Wow, this really happened.' 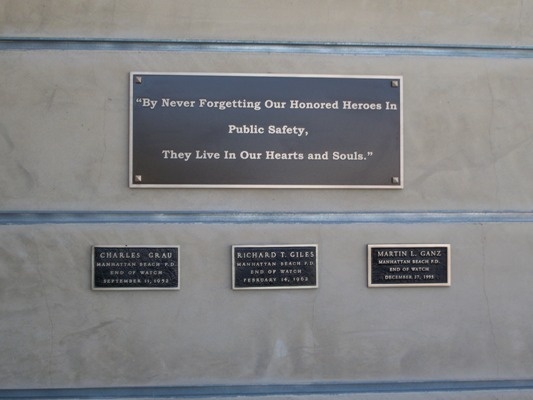 "
The South Bay Police & Fire Memorial Foundation was created for and because of Martin Ganz's, and two other local PV Estates PD deaths that soon followed. 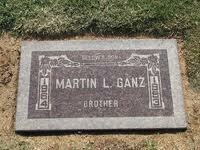 every Dec 27 at 11pm to honor and remember Martin Ganz. 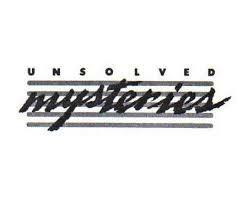 Ganz's unsolved case was to be a 1994 Unsolved Mysteries story, but was pulled because Brady was caught just before the episode was to air. 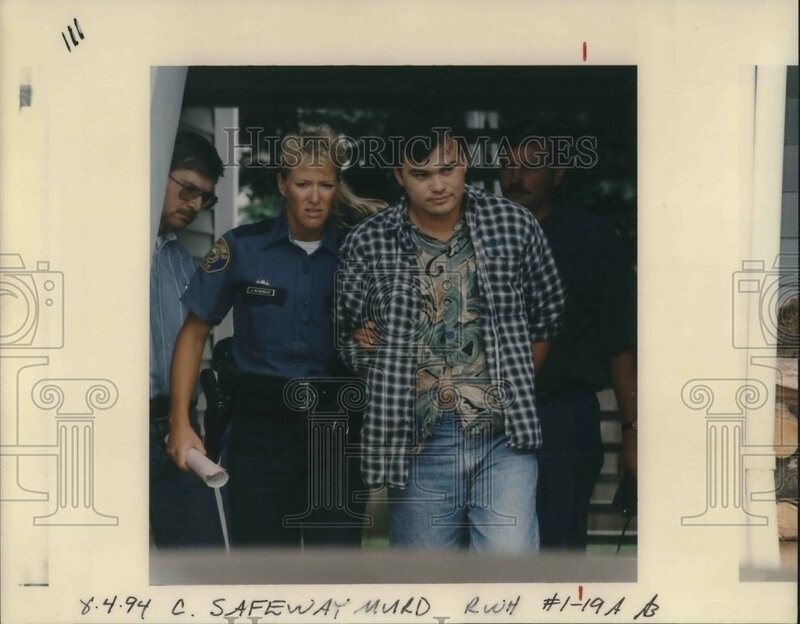 Brady being arrested in 1994 for the murder of Catalina Correa. She witnessed Brady rob a Portland, Oregon Safeway supermarket. He was sentenced and parole-eligible. Soon after, SoCal investigators figured out he was responsible for Ganz's death. A Torrance, CA jury was not as forgiving, sentencing Brady to death.